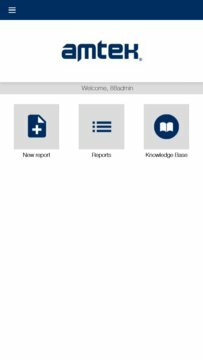 Workflows are built using the Amtek Keuringen app builder which provides an easy way to create workflow forms and screens without or limited need for additional programming. 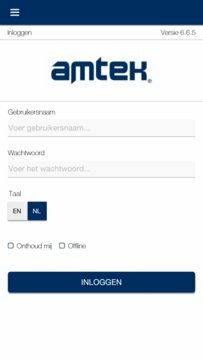 Amtek Keuringen creates a "Hybrid" App: a combination of a standard platform and specific customizations needed to fit your needs. By adding the functions specific to your organisation and processes to the Amtek Keuringen foundation, you can have your app up and running quickly, systematically and cost effectively. Amtek Keuringen uses the latest proven technologies to create mobile applications. Your app can be used on any of the major mobile platforms like Windows, Windows Phone, Android, iOS and most recent web browsers. The generic Amtek Keuringen App provides a smooth and user friendly experience. It allows users to work both on- and offline mode, so work can continue even when an internet connection is not available. Amtek Keuringen is suitable for the most demanding Enterprise App scenarios where performance, security and integration are of the essence. The included portal component allows you to perform any of the actions needed to run the mobile platform successfully. It can be run on any device connected to the internet using the most recent web browsers. It offers functionalities for building app forms, configuring users, managing access permissions, monitoring workflow progress, communication etc. In addition, the studio allows for near real-time access to any data that is held within the workflows and the analysis and reporting thereof. With Amtek Keuringen, users have access to information in their mobile processes anytime, anywhere on any device.